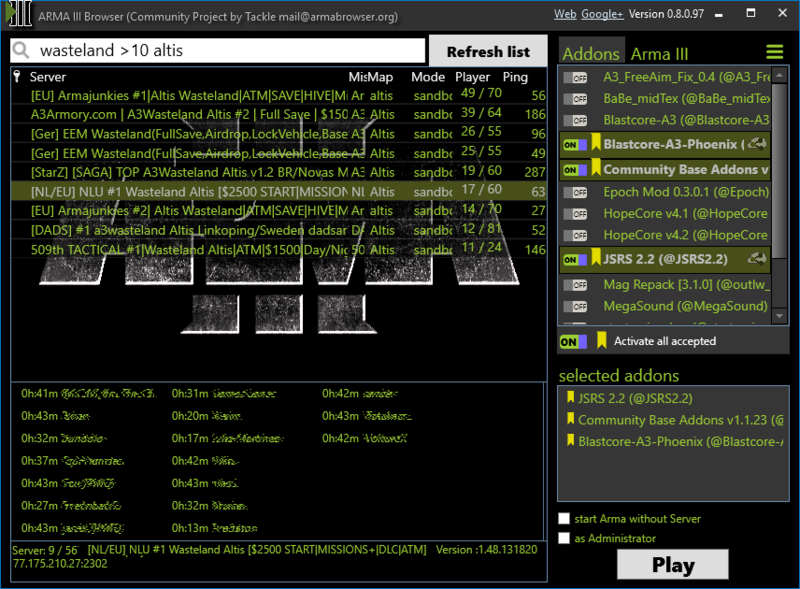 Arma Browser is a launcher program for the game Arma 3. It helps you to find Arma III multiplayer server without starting Arma3 before and join your selected server with your installed addons. The target of ArmaBrowser is, find and join arma 3 server as fast as you can!